Song selections range from hard-drivin' straight ahead bluegrass to ballads, bluegrass instrumentals, gospel, twin fiddlin’, old time acoustic, and even original compositions about people and places in the Ozarks. Some of their bluegrass gospel selections have even been known to bring an emotional tear to listener’s eyes. All these things together provide a show that audiences will remember for a long time. 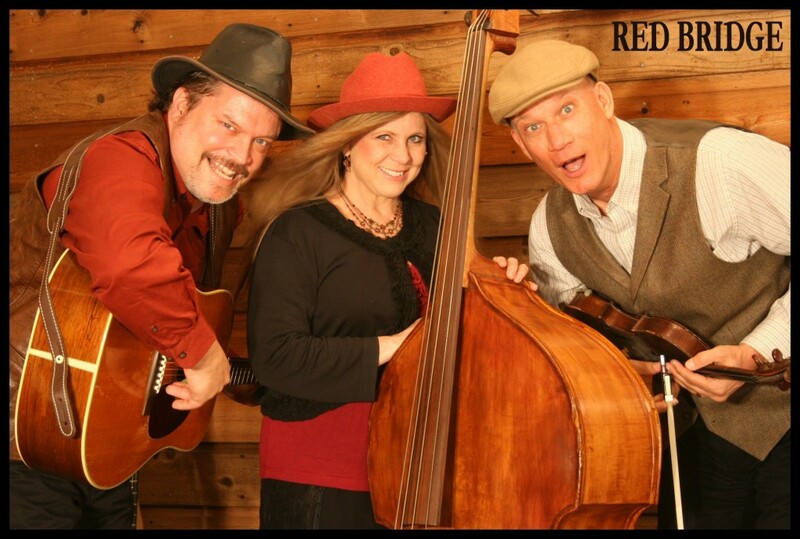 Red Bridge members love to interact with the audience, both during and after the show, and have made many long-term friendships as a result. The band’s namesake — historic Red Bridge crossing Bull Creek southeast of Ozark, Missouri — is a three-span pony truss bridge by the Canton Bridge Company of Canton, Ohio. Eligible for the National Register of Historic Places, Red Bridge uses a three pin-connected, five-panel Pratt pony trusses design. Red Bridge was built in 1915.